I'm new to Vuforia and Unity. 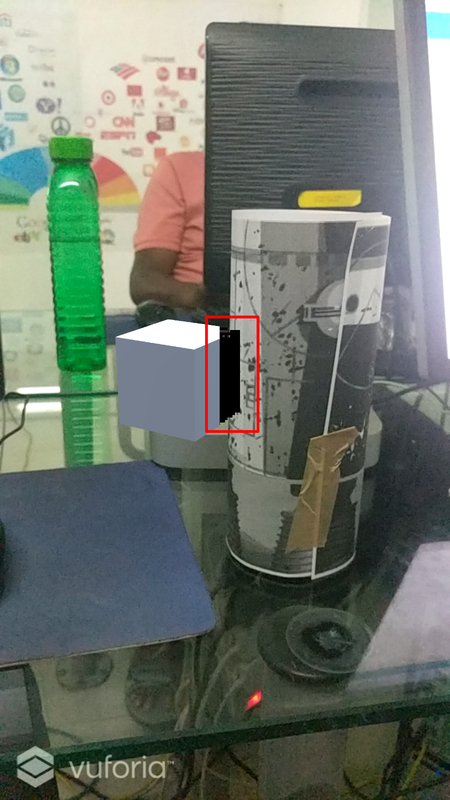 I created Cylinder image target and tested in Android devices. 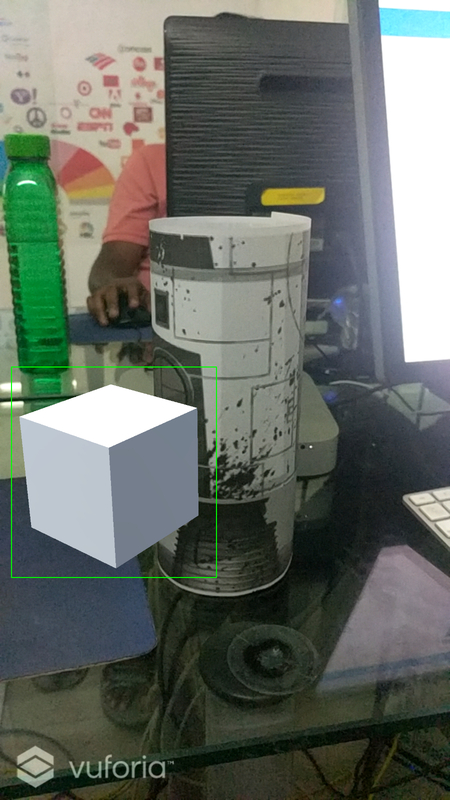 The Virtual Cube created in Unity renders fine when its in front of Cylinder. When i rotate the Cylinder physically the Cube moves behind the target and turns to black. Pls find the attached screenshots and Unity file. Kindly advice where i went wrong. 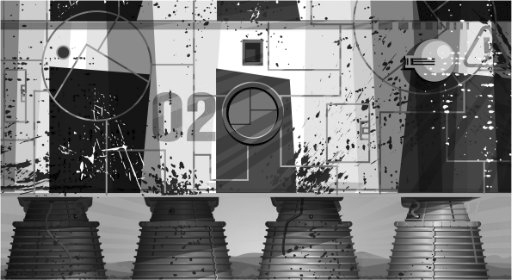 Our core samples contain an example of rotating an object around a cylinder target and it does not encounter this issue. Can you please refer to this sample? I have the same problem on a flat target. A 3D Building who is partly under the target gets black like you described. In I can see the black pixelated part just on the tablet but not on the smartphone application. Could it be a unity setting problem of the quality for different devices? Did you already found some solutions? I have the same problem. In my case, the whole target "ghost" image turned black, independent of its position. I noticed that this is caused by the "Mask Out Behaviour" skript. If I disable it, I can see the ghost back again. What is this "Mask Out Behaviour" needed for? Does anyone find the solution to this issue? I can see the black pixelated part of the object that is behind the cylinder target though it is working fine on unity editor but not on mobile. We've observed this during device testing. The problem occurs on some devices when a 3D mesh is occluded by another 3D mesh on which a "depth mask" shader is applied. It's never been clear to us if the bug is Unity-specific or something else, but it is certainly device specific. For example, I saw the effect on the Samsung GS7 with Snapdragon, while on a GS7 with Exynos it works fine. Most likely it is a GPU driver issue and/or a Unity bug and/or a combination of the two. One possible workaround is to change the material of the occluded object from opaque to transparent. Even if the object still appears as opaque (because its Alpha is 1), marking it as transparent will change its rendering queue, and this seems to fix (usually) the issue. 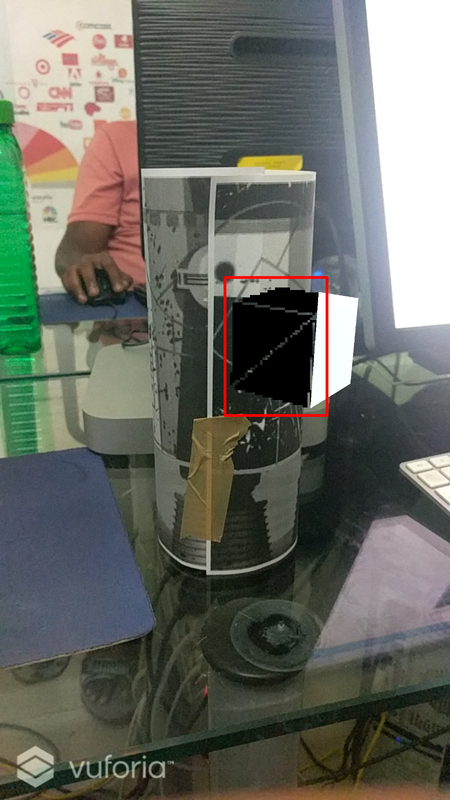 The Cylinder target in the Core samples uses a depth mask shader, so that's why the issue can reproduced in that app.